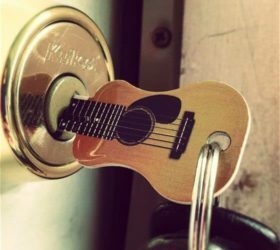 An Acoustic Guitar key looks quite similar to a real guitar and it’s not gonna be a keychain only but a working key to open your doors to a rocking world. For music lovers, this could be an interesting gift idea. Match your key type first.